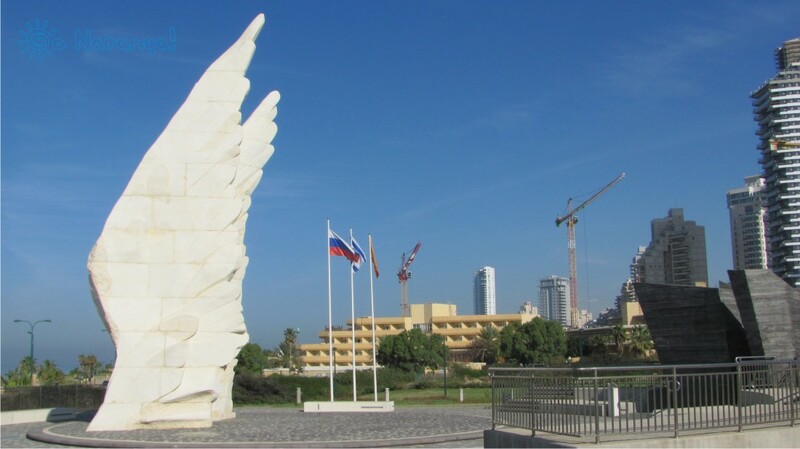 One of the most famous symbols of modern Netanya is the memorial, that we call “The Wings”. It’s an extraordinary beautiful and wailful construction. 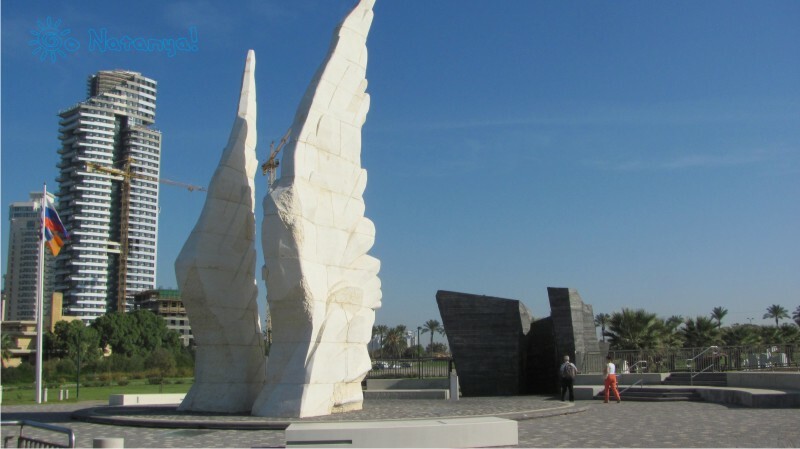 “The Wings” appeared in Netanya in 2012, and it is situated in the southern part of a seafront of the city. This monument places on the little hill upon the seafront. It looks like two great angel wings, that grow up from the ground, and wich directed to the West, to the Mediterranean Sea. “The Wings” simbolizes the Victory in the II World War, and the price, that jews paid in it. Authors of this monument are three sculptors from Russia. Their names are: Salavat Scherbakov, Vassilyi Perfilev and Mikhail Naroditskii. We think, that their job was done very well. They made a monument, that tells us about Great Tragedy of jewish people. They showd not only tears and pain, but the great Hope, and Believe in it. Monument consists of two parts. The second one are wings, but the first part is not so conspicuous. If you want to see it, you should come closer. The first part is situated behind the Wings, and it looks like a dark tunnel. 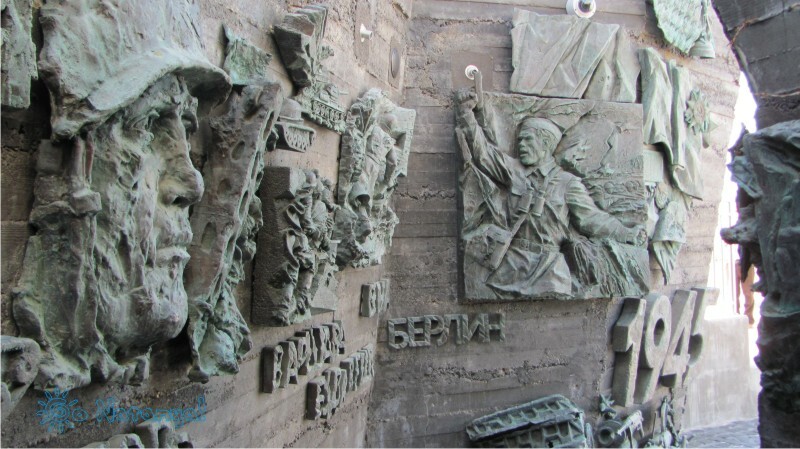 If you enter it, you will see many reliefs, that show scenes of people’s life during 1941-1945. The II World War was during 1939-1945, but in 1941 started its most tragic part, when Germany attacked the USSR. About 20 000 000 people died during 1941-1945. It was a horrible time, and in Russia this war was called The Great Patriotic War. All reliefs here are very dark and grim. You can see here the horror in mother’s eyes, and machine-guns, that are directed right on you, and people in Auschwitz concentration camp, who were ready to meet their fate. 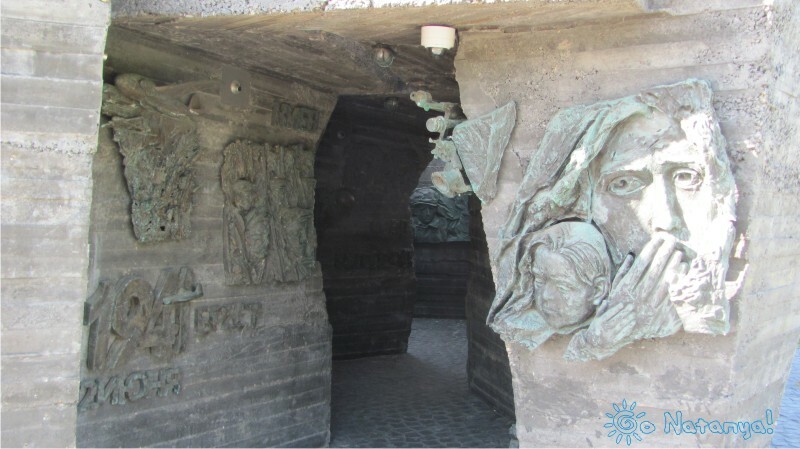 These reliefs are very-very grim, and if you don’t like to see pictures like that, don’t go there. As master Yoda said: “The Dark side is very strong here”. But if you decided to enter, you will see, that not all reliefs are so dark. After the middle of tunnel, you will see more “light” pictures, that show, how people fought for freedom, how they helped each other. And when the tunnel ends, you see “Wings”, that are symbolized hope and faith. For our mind, this monument is too grim. Even “Wings”, for us, symbolize not hope, but pain and tears. When we saw the “Wings” for the first time, we didn’t thought about “High Hopes”. For us, these “Wings”, are the wings of angel, that falls down from the sky, or just sits on the ground, and cries for someone.. But, if you are not so sentimental, welcome! 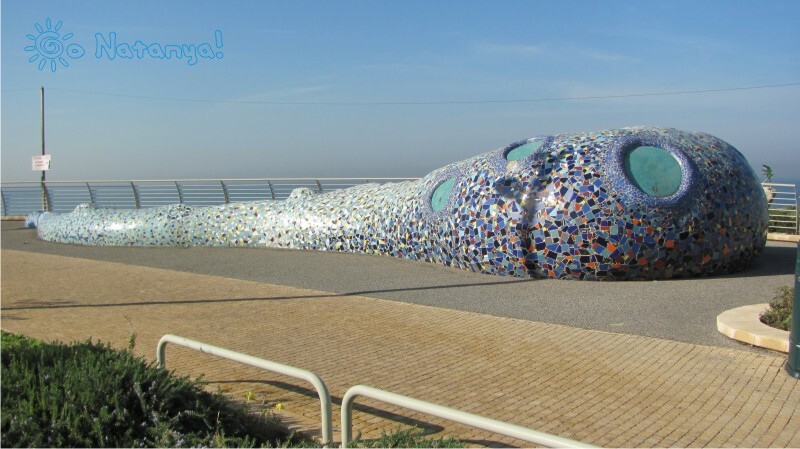 This monument you should see, if you are going to Netanya. Wings are situated in the Southern part of seefront, not far from the sculpture, that is called “The Whale”.